Our group of BLS trainees lined-up parallel with the main running line at the minimum safe distance as Class 03 shunter No. D2078 passed by at low speed on its way into the station at Middle Engine Lane. 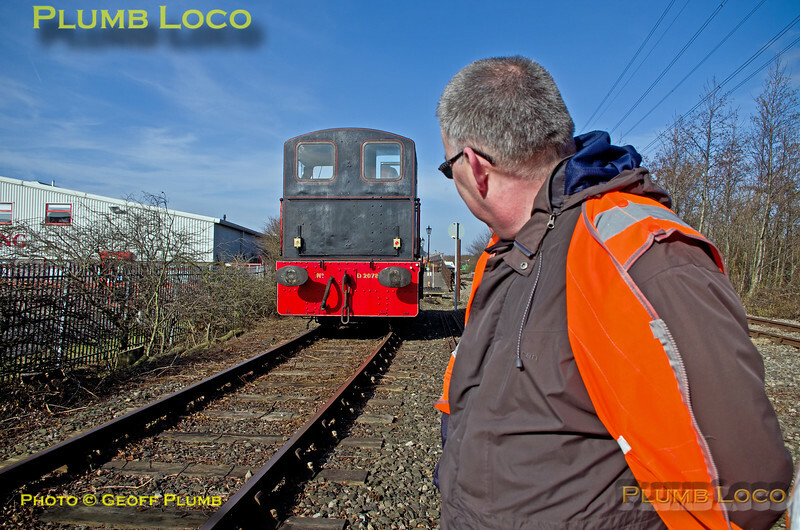 The correct warning from the loco crew had been given and acknowledged by those on the trackside. 11:58, Saturday 24th February 2018. Digital Image No. IGMP33785.